● Determines the nominal value. The leading American brand Cassida offers a unique counter specially designed for the Ukrainian market. On sites-representations of other countries this model is absent. Cassida Xpecto automatically determines the currency with reliable authentication. It recognizes UAH, USD, EUR, PLN and 10 more currencies, which can be added if necessary. The counter of Kassid’s banknotes consists of a color LCD with a touch-sensitive LCD display, a diagonal of 3.3 inches, a loading pocket for 500 banknotes and a receiving pocket for 200. 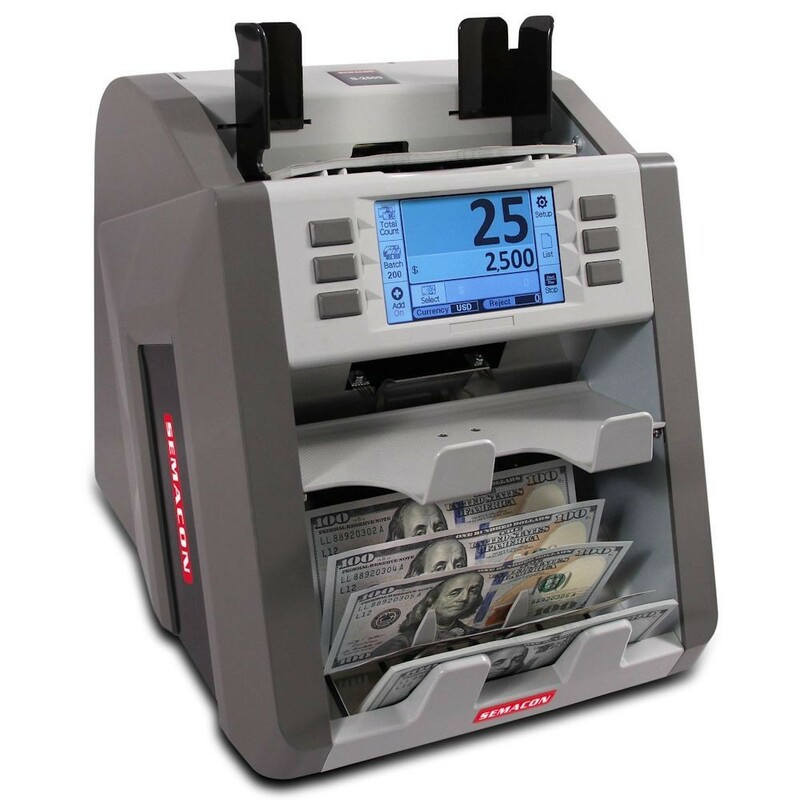 The user can choose the most acceptable conversion rate depending on the degree of deterioration of banknotes: 800/1000/1200 bills in a minute. The device is connected to a printer, LAN, remote display, conveniently demonstrating the result of processing to the client. Cassida Xpecto successfully combines a wide functionality with an acceptable price. And also defines double notes, banknotes, halves, jammed units. Cassida Xpecto compares favorably among analogues of other brands with low cost, reliability and stability of work. The device will save time for processing cash, speed up the time for servicing customers of operating, ticket offices, banking, credit organizations, retailers and services.